Check out the works submitted by the Grands Ateliers student cluster following a national call for projects to schools of art, architecture, design and engineering. 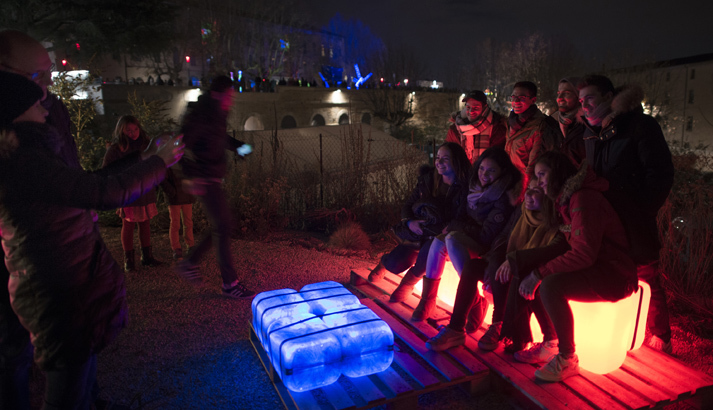 Fourteen light features and light imagined by these students from different disciplines pave the way between and André Malraux gardens. Don’t forget to admire the magnificent view of Lyon bathed in light. 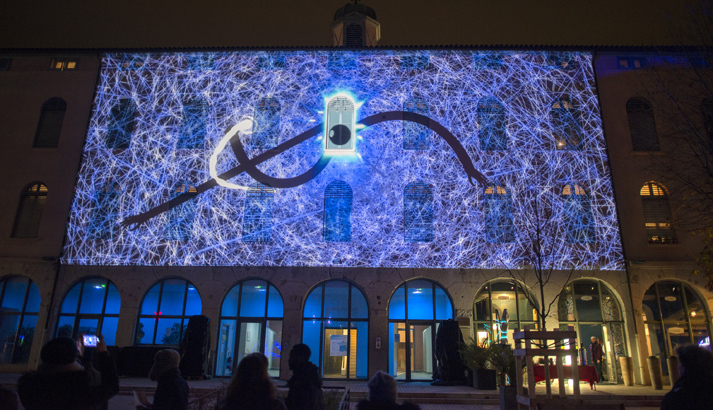 The façade of the CROUS student residence offers a backdrop to nine architectural projections which can be viewed from the Saint Pothin esplanade. 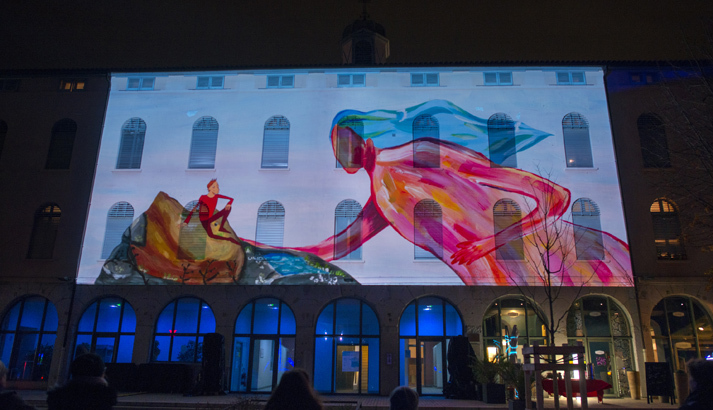 They are the output of a workshop held on the subject of narration and mapping initiated by the Festival of Lights in conjunction with Epinal’s Festival of the Image. 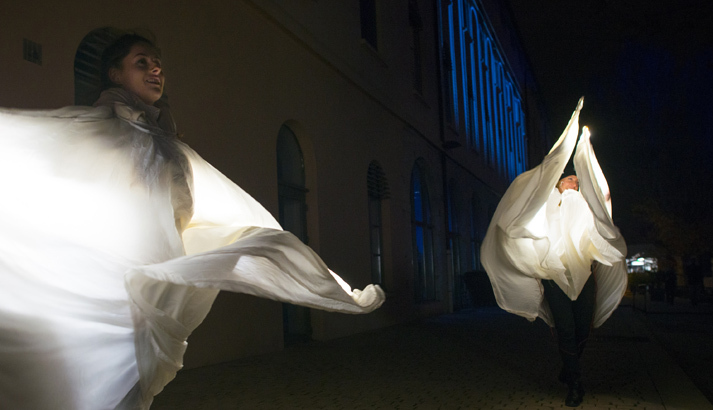 These projects testify to the boundless imagination of the new generation of light artists and their prowess in myriad techniques. 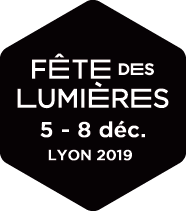 These projects are supported by the City of Lyon as part of the Festival of Lights Emergence programme designed to encourage young artists. 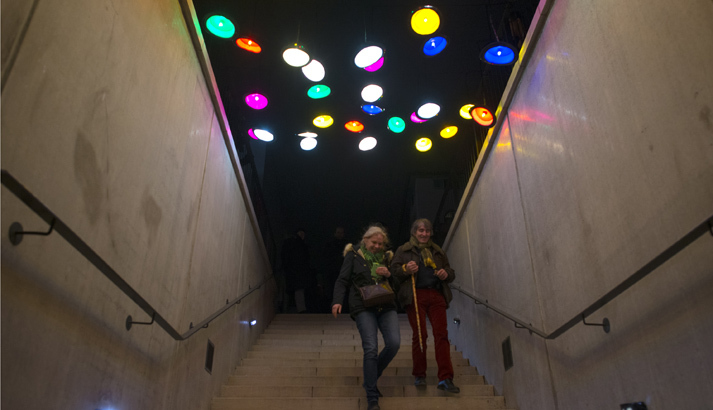 Experimental works from the Grands Ateliers supported by ReneSola and the Tête d'Oie Restaurant. Emergence Mapping Projects supported by Epinal’s Festival of the Image, Lyon CROUS student housing association and VLS.